Welcome to the first stop aboard Magical Blogorail Green. 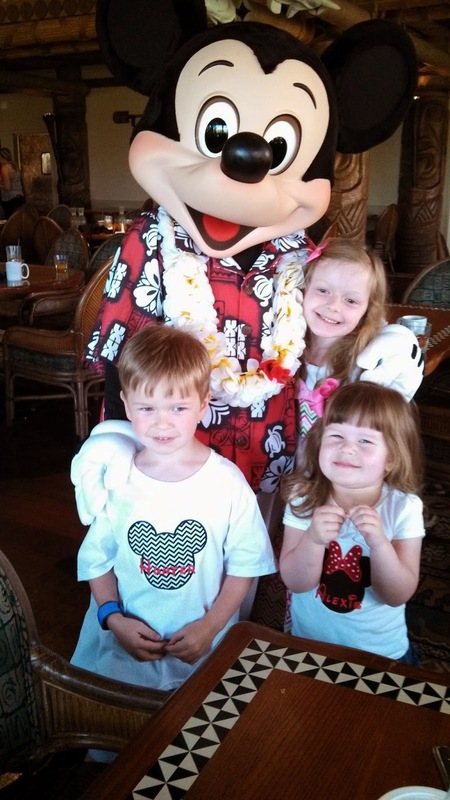 Enjoy the ride as we share the best Disney resorts for larger families (+5). My family consists of my three children and myself and my husband making us a family of 5. Occasionally when traveling it will be difficult for us to find a hotel room that will sleep a family of 5. Most standard rooms in hotels accommodate a family of 4 unless you get two connecting rooms which doubles your price. We typically stay at Embassy Suites because they do allow 5 people in a room. I absolutely love that some Disney's resorts will accommodate a family of 5. 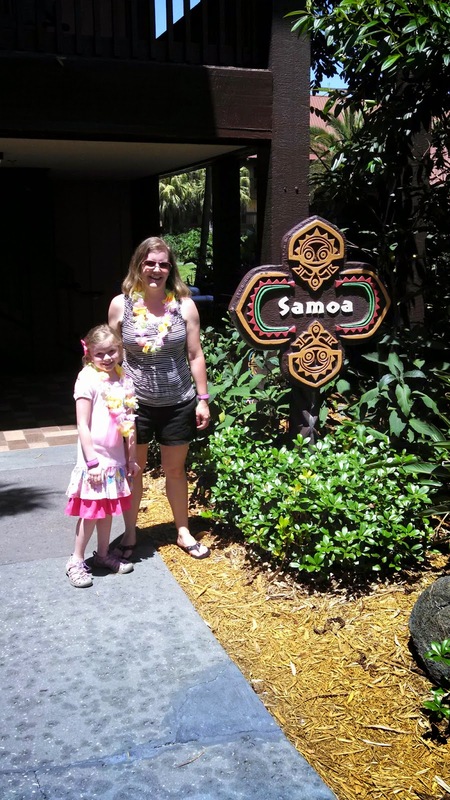 Last spring we stayed at Disney's Polynesian Resort which is a deluxe resort located on the monorail. The resort is absolutely beautiful! We had paid for a standard room however at check in we were upgraded (maybe because it was my daughter's birthday?!) to an amazing pool and water view room. We were given lei necklaces and a resort map upon check in. My children also received coloring books and crayons. Our room was located in the Somoa building which I had requested. This building is perfectly located beside the pool and across from the beach area. With small children I knew we would be spending a lot of time at the pool so I was hoping to be as close as possible. The view from our balcony was amazing! This couch can convert to the perfect bed for a child. You could even squeeze two children on the couch bed. Huge closet with a safe. Our umbrella stroller even fit inside of the closet which was nice. How cute is this lamp in the room?! The rooms are decorated so nicely! I would highly recommend the Polynesian Resort. It is so nice to stay at a resort on the monorail and the resort offers many things to do. Guests can enjoy the pool, waterslide, splash area and the beach. There are also boats available for rental. The Polynesian Resort boasts some of my very favorite restaurants, O'hana, Kona Cafe and the Luau! To read my Kona Cafe dinner review visit this post and this post to read about the Luau. Great post! We stayed at The Poly for our honeymoon back in '04 and can't wait to stay there with out little guy. We always make it a point to at least visit during our trips to The World! Awesome information! I know I was nervous about squeezing our family of 5 into a room at The Poly, but honestly it was great! And we stayed in the same building you did too! LoL! Thanks for sharing all the pictures. My family of 5 usually stays at Port Orleans Riverside and we love it there, BUT the Poly is my dream resort! I love these pictures! The rooms are lovely and I had no idea they were so big. They honestly remind me a lot of DVC studios. I can't wait to stay at the Poly.... and have to agree on Ohana recommendations. A must-do for many of our trips! Thanks for sharing. This would be my first choice of hotel for our family of five (if I can ever make it to WDW!) Thanks for sharing, it looks beautiful. So cool that you got an upgrade! 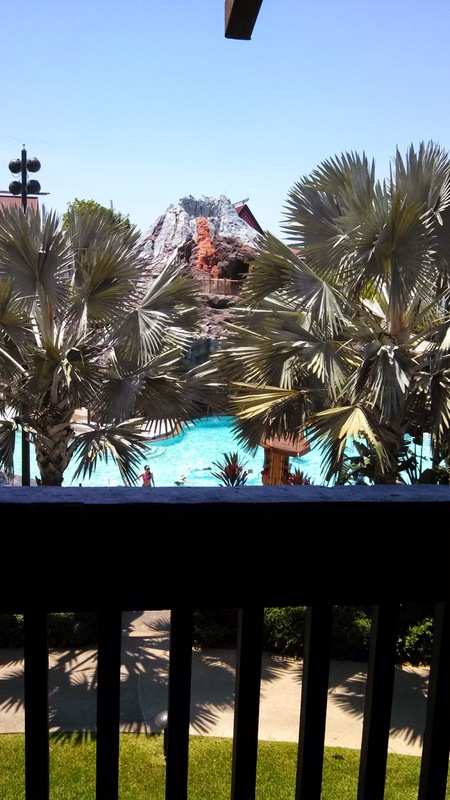 I stayed at the Poly only once on Valentine's Day with my husband for only one night. I really would love to stay again with my baby boy. Now that DVC is an option there I foresee it happening in the future.